Holme Lacy is a small village south east of Hereford. The old parish church is located down a lane well away from the village and close to the River Wye. Its a fabulous church, full of historic interest. 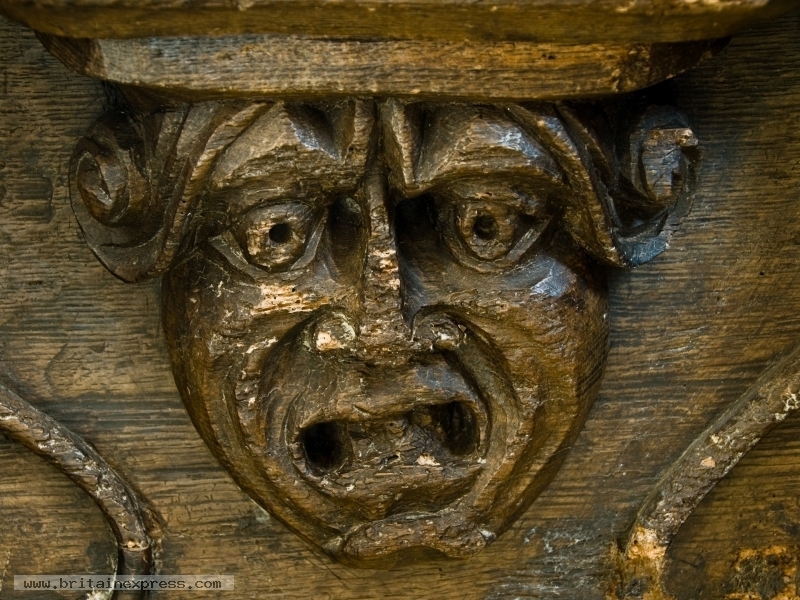 One of the features is a set of carved medieval misericords, or mercy seats. Among the fascinating carvings is the, er, delightful chap.